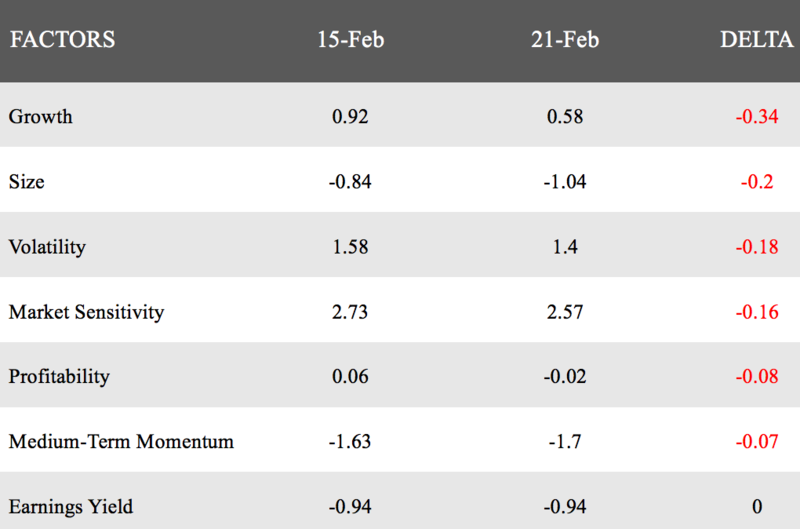 Following up on last week's discussion, we conclude our multi-part series on positioning for a potential market recovery, by building and analyzing a model portfolio that internalizes the insights we've gained from prior recoveries. 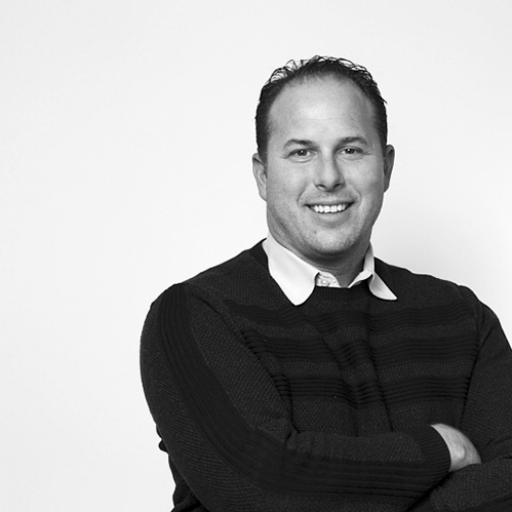 Through the construction of a model portfolio we've uncovered an intuitive insight applicable to the recent recovery so please make sure to read the section entitled “Creating An Offensive Portfolio for 2019”. First, we'll go through a quick rundown of factor trends we've seen over the past week. The market continued to see strength this week amid reportedly significant strides in the thawing of the US-China trade war, with negotiators penning six memorandums of understanding on certain structural issues. The US central bank reaffirmed that it would be patient with regard to further interest rate hikes, and most FOMC officials indicated that they were preparing to stop shrinking their asset portfolio in 2019. In the wake of our previous analysis of sector behavior during three distinct market rebounds (2009, 2011, and 2016), we had found that 76% of the time the wholly price-driven Momentum factor followed the same direction as Growth, Profitability and Volatility when they were either contemporaneously positive or negative. Applying the analysis to just the two most recent rebounds, this percentage climbed to 90%. Armed with these insights, today we will use the Omega Point platform to construct a long-short portfolio of stocks in the US market that are exhibiting these characteristics during the current market. We examined all stocks comprising the Russell 3000 Index and filtered for stocks that since 12/31/2018 had a meaningful positive simultaneous change in Volatility, Profitability and Growth to construct an equally-weighted $100 million long portfolio. Additionally, we filtered for stocks that had a meaningful negative simultaneous change since 12/31/2018 in Volatility, Profitability and Growth to construct an equally-weighted $100 million short portfolio. It targets higher leverage (Leverage: +0.2) quality names (Profitability +0.23), at a slightly higher than average valuation (Value: -0.29) where growth hasn't yet been factored in (Growth: -0.12). It finds an interesting intersection between low beta (Market Sensitivity: -0.15) and slightly positive vol (Volatility: +0.09). As we've seen in prior recoveries, net momentum is positive (+0.17). 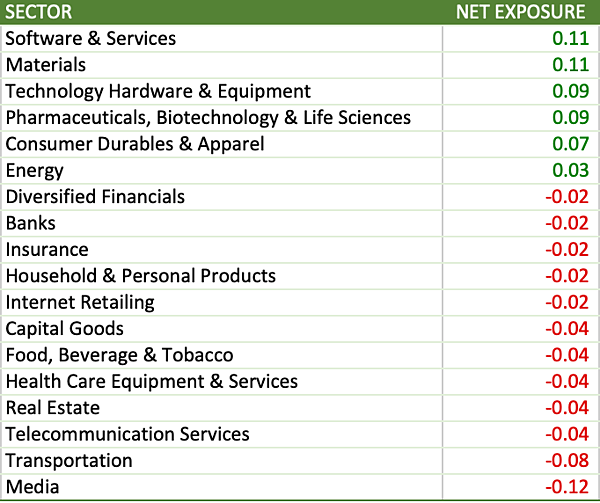 The table below illustrates this portfolio's net exposures broken out by GICS 2 industry sectors. The portfolio favors the cyclical Materials sector and the growthy Technology Hardware, Software & Services, and Pharma, Biotech, & Life Sciences sectors. To a lesser extent it likes the Consumer Durables & Apparel sector. The portfolio dislikes the Media & Transportation sectors, which are often looked at from a defensive standpoint. To a lesser extent it dislikes Telco, Real Estate, Food, Beverage & Tobacco, Health Care Equipment & Services (e.g. medtech, insurers & hospitals), and Capital Goods (e.g. aerospace & defense). All have fairly strong defensive characteristics. A fascinating outcome of the above analysis is that while we focused exclusively on factor exposures and did not target any specific sectors, the resulting portfolio captures industry sectors that investors typically associate with a market recovery. We will be closely monitoring this portfolio over the coming months and will publish updates in future editions of Factor Spotlight. If you would like to perform your own analysis on this portfolio, you can download the entire list of stocks here.